RSVP Santa Fe aims to meet critical community needs and provide a high quality volunteer experience. Our mission is to recruit and support senior volunteers to help themselves and others by sharing their experience, knowledge, skills and efforts in service to the community. The Retired Senior Volunteer Program (RSVP) is one of the largest volunteer networks in the country, working to engage people age 55 and over through local volunteer opportunities in order to meet vital community needs. RSVP volunteers choose where, when and how much they want to volunteer, and are provided with support and free program benefits. 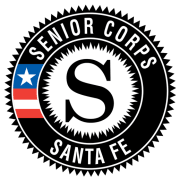 RSVP volunteers serve in various locations throughout the City of Santa Fe and Santa Fe County, including with public or government agencies such as senior centers, veterans’ organizations, or public schools, local non-profit organizations, health care agencies, and much more! RSVP Santa Fe is a section of the Division of Senior Services, sponsored by the City of Santa Fe Community Services Department. Additional program funding comes from the New Mexico Aging and Long-Term Services Department, a state agency that is dedicated to promoting the independence and dignity of elders and individuals living with a disability; and through the Corporation for National and Community Service, the federal agency that improves lives, strengthens communities, and fosters civic engagement through service and volunteering. RSVP Santa Fe is the vital link that connects a lifetime of talents and experiences to community needs. Would you recommend RSVP Santa Fe?